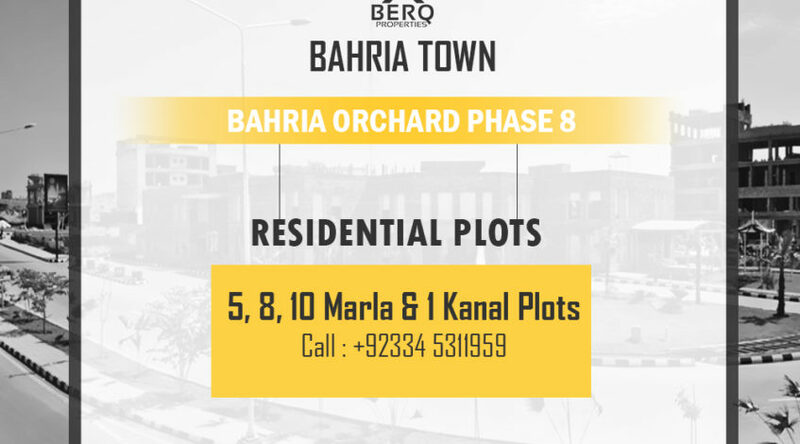 Limited 5 Marla Plots available on installments in Bahria Orchard Rawalpindi. Price starting from Rs. 18 Lakh. Situated in a Prime location. Booking on a map with plot number, no wait for balloting, choose the location that suits your needs. Only 10 plots available. Hurry up now before it’s too late. 5 and 10 Marla plots available with a 2-year easy installment plan. In a day and age where cities are full of noise and air pollution Bahria town is an exception where serenity and neatness greet you upon entering. Bahria Town has maintained its tradition of providing quality housing at the affordable process in its new venture Bahria Orchard. Bahria Orchard is being developed in accordance with international standards. The international standard theme park being developed nearby is another reason for you to choose Bahria Orchard as the site of your future home. The government of Punjab is constructing a Ring Road which will pass just behind Bahria Orchard and will go up to new Islamabad Airport crossing Motorway. Details of the project are given below. An international theme park, Rafi cricket stadium, Dr. AQ Khan school, roots school & colleges, Begum Akhtar Rukhsana hospital.